The City of a Hundred Spires on the Vltava River is known to people from all over the world and ranks among the most beautiful cities in Europe. Let yourself be tempted by historical, leisure and meeting offer of Prague. The experiences that won’t be forgotten are awaiting you. Let Prague inspire you, just as it inspired many significant artists and scientists in the past. The city’s mysterious atmosphere reflects in the works of Prague’s native son Franz Kafka. W. A. Mozart, whom “the people of Prague understood”, completed and first performed his best-known opera Don Giovanni here. Prague also became an important university centre which gave the world a number of personalities without whose discoveries and inventions we could hardly imagine our lives today – contact lenses, silon, screw-propeller or nanofibers. Every year Prague hosts the Prague Spring festival – a renowned gathering of the world’s best classical musicians or a number of international film festivals, and many others. Prague has always been a crossroad of the most important trading routes, as well as a cultural and political centre of Europe. One of its major landmarks, Charles Bridge, symbolizes the historical connection between the East & West that made Prague a place where elements of Slavic, German, Italian, and Jewish cultures merged to create a picturesque city with a unique, magical atmosphere. Prague’s location in the heart of Europe makes the city easily accessible to travelers from almost every country. Thanks to the city’s public transportation system, ranked among the best systems in the world, everything can be reached within a few minutes. Moreover, Prague is a green and very walkable city, offering a wide range of attractions within a small area. Museums, restaurants, historical monuments, relaxation and entertainment – all are virtually within arm’s reach. Prague offers world-class services at a reasonable cost. Prague is famous for its hospitality and excellent infrastructure. Local hotels can accommodate nearly 91,000 people in more than 41,000 rooms. The Czech Republic is situated in Central Europe. It is an important tourist destination. It offers visitors not only a multitude of historical landmarks but also diverse natural sites: mountains, ponds, caves and spas with mineral springs. The Czech Republic offers many protected cultural monuments, cities and villages. Some of them are on the UNESCO list of world cultural and natural heritage sites: in addition to Prague’s historic centre, there are also Český Krumlov, Telč, Kutná Hora, the pilgrimage church of Saint John Nepomuk at Zelená hora, the Lednice-Valtice cultural landscape, the gardens and castle in Kroměříž, the south Bohemian village of Holašovice, Litomyšl – Renaissance castle and historic city centre, Olomouc – Holy Trinity Column, Brno – villa Tugendhat, Třebíč – Jewish Quarter and St Procopius Basilica. This culturally rich city full of fabulous monuments charms visitors not only with its impressive and diverse architecture and breath‑taking views, but also its intimate, romantic atmosphere that is ideal for long walks. Prague is a city of (not just classical) music and art, found here at every step, a city of gardens and parks, and last but not least, a city where the best beer in the world is brewed and savored. 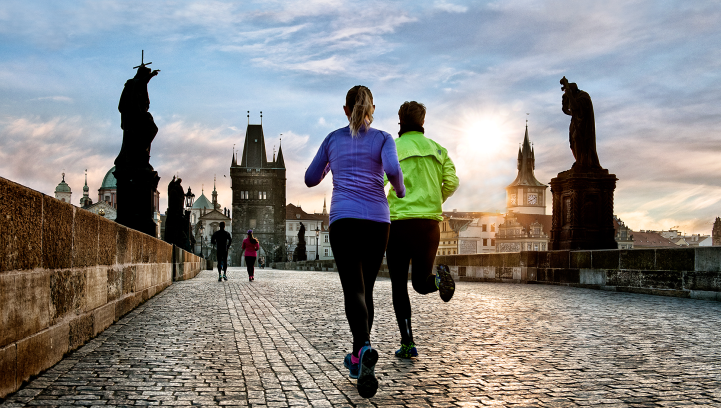 Find out more about Prague!